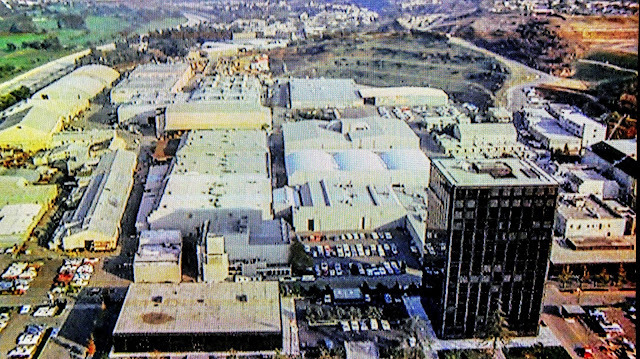 From 1977: three overhead shots of the Universal Studios backlot. These were three brief shots used as transitions in the HARDY BOYS/ NANCY DREW Hollywood set two-parter (which I blogged about recently) that was shot almost entirely on the backlot. 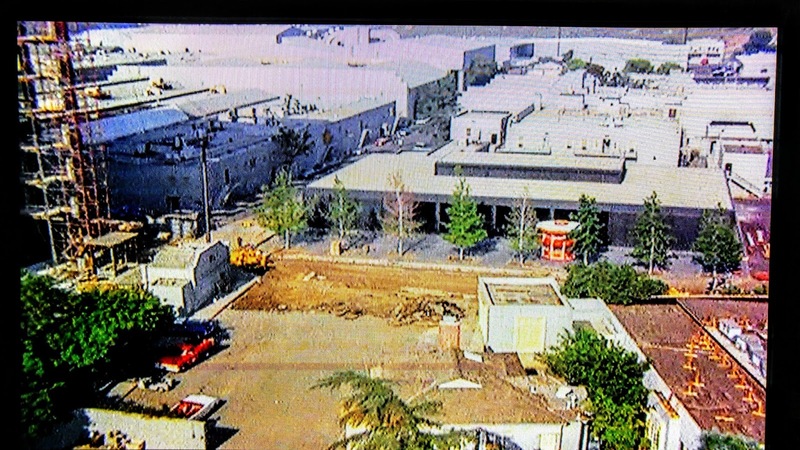 They were never shameless enough to namecheck that it was the Universal Tour but anyone familiar with the set-up (trams trundle 'round exterior sets) and specific attractions (the Jaws shark, the trippy ice tunnel that also shows up in THE SIX MILLION DOLLAR MAN) would know it in a second. It wasn't uncommon for Universal shows to use the studio as a studio (rather than use the specific sets as somewhere else), THE A-TEAM and KNIGHT RIDER both instantly spring to mind, but these shots are unusual. They represent the Universal TV machine at its zenith: churning out multiple shows and teleflicks for the three US broadcasters on an industrial scale. It's interesting to think that somewhere on the lot, pre-production was underway on both BATTLESTAR GALACTICA and BUCK ROGERS IN THE 25TH CENTURY. 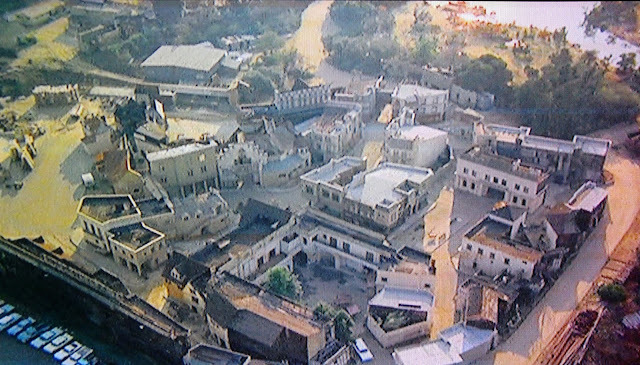 The tower, bottom right in the top pic, is the infamous 'Black Tower', home of the studio's leadership and administration. The centre of power. Apologies that the shots ain't great: they are snapped off-screen using my phone because by MAC laptop doesn't allow screengrabs from DVDs. Humpf. Especially good entry, really great to see these. Thanks for making the effort to take these shots. Second one looks like it could be a Wild West lot with a little set dressing. Can you recognise any of the locations as appearing in specific episodes? 1987: CENTURIONS ISSUE 2: POWER X-TREME!